I lost my gift because of disconnection and freezing. Can I get it back? You can collect gift by "Collect all" or " Accept" button. In normal cases, the money is added to your chip balance right after you collected gifts with an animation beneath your chips account. But, if your game screen is disconnected or frozen, collected money is automatically added to your account without animation. In other words, there is no loss of gift or collected money. Therefore you will see your chip balance is increased by the amount of gift money you collected before. How can I get into The VIP casino? The VIP is a special casino for Premium/VIP members, and they are given a free pass to The VIP during the membership peroid. VIP membership is a special membership service for the customers who spent more than $499 dollars. What is local storage pop-up by Adobe flash? This pop-up asks you click Allow or Deny permission to store information in your local storage . By allowing this permission, temporary information on your game will be stored on your PC. This allows you to go back to bonus round in Slot or hand in Video poker after disconnection and refreshing window. Most importantly, temporary info will be coded and DoubleU Casino never store info on your account or any other private thing. Therefore, there will be no security breach. If you want to learn more about local storage pop-up, click here. If this pop-up is not operated properly, please click here and update your flash player into the latest version. Also, changing your web browser to google Chrome will be helpful and you can install it by clicking here. You should be careful in clearing cache of your web browser because it also delete the info on your local storage. If you clear cache after disconnection, you can't go back to your bonus round or video poker hand after disconnection. Why is it so hard to hit a Jackpot? 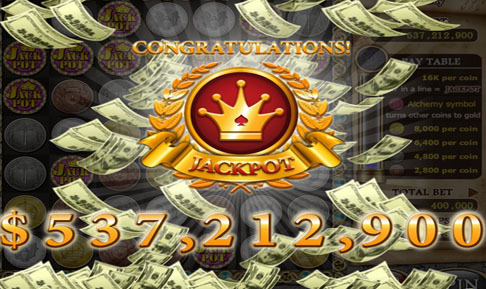 Jackpot winnings totally depend upon player's luck. However, you will get more chances of winning Jackpot as you spend more time on the machine regardless of bet range. You can see many jackpot winners in "Recent Jackpot" ticker,"Jackpot winner" on DoubleU Daily news, and "Jackpot" tab on "Ranking" sticker on the left of cityscreen. On average, hundreds of Jackpots are hit everyday in this casino, which means more players actually win Jackpots than you think. Jackpot is the amount of money accumulated by a small portion of bet money at each spin or hand by players until it's hit. Therefore, casino has no reason to control it and gain nothing by controlling it. You will eventually grab a chance to hit a Jackpot if you continue playing. Why are machines so tight? It's a rip off. It's not true. We're doing our best to provide customers with better payouts, and we are maintaining fair payout ratio, which is not tight at all.